Sony is all set to launch Phones at MWC 2018. 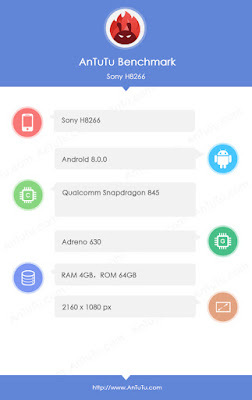 Now Upcoming Sony Phone with Snapdragon 845, 18:9 Display Model number Sony H8266 has been leaked on AnTuTu. 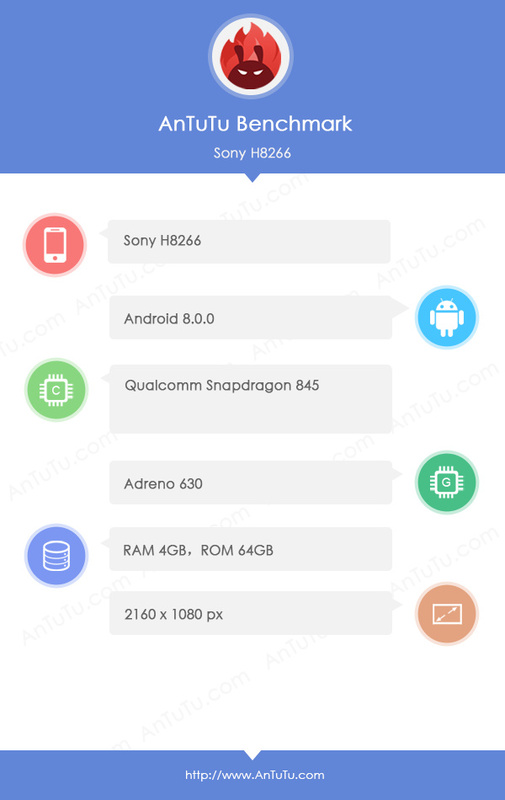 According to AnTuTu listing, Sony H8266 to come with 18:9 Display with 2160x1080 pixel Powered by Snapdragon 845 with Adreno 630 GPU. It has a 4GB RAM and 64GB internal storage runs on Android 8.0 Oreo.